From Bay Street dreams to chair of Peel Region: a lot can change in a year. Around this time last winter, Nando Iannicca was contemplating a life outside of politics. The greener grass on the other side of the fence was something he hadn’t seen for the better part of three decades, since entering politics at the age of 27 as a Mississauga councillor — the youngest elected official in that city’s history, when he left the glitzy world of high-finance in 1988. For the last few years of his career as a municipal councillor, Iannicca had felt things drifting in a different direction. The idea of bringing new faces into council chambers, fresh ideas to bring the city and the region into the future, had started to become front of mind for him. The decision to leave city council wasn’t a selfish one. Politics can be like a prize fight, he says, except the politician isn’t the only one in the ring taking the punches. It hits their families just as hard. “It’s as though they take every blow,” he says, sitting in his new Brampton office, inside the Peel Region headquarters near the Bramalea City Centre. After all their sacrifices and the long days apart, he looked forward to spending more time with his wife and children. “My joke was: It’s time to go out and get a real job,” he says with a hearty laugh. As it turned out, that job wasn’t hard to find. 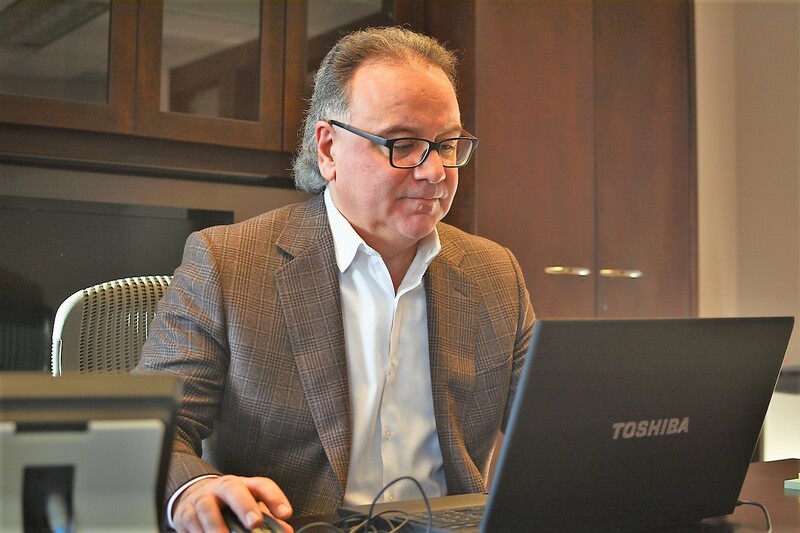 Despite having spent 30 years in politics, he holds degrees from Ryerson University and the University of Toronto and myriad certificates that would make him a good fit for Bay Street’s towering financial firms. 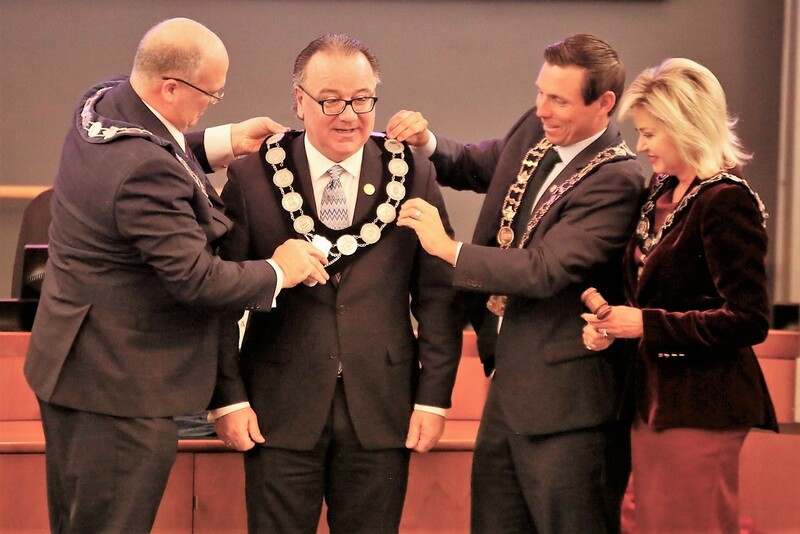 However, in March 2018, Frank Dale, who, like Iannicca, had been a long-serving Mississauga councillor, changed everything. The one-term regional chair announced he would not seek a second term as Peel’s top politician-bureaucrat, a unique role that involves leadership of both regional council and much of the policy direction at the staff level. A few names were floated for the job and several registered to run for the position when it was made an elected role, including Patrick Brown, before new Premier Doug Ford returned it to an appointed position. In sports, dedicated fans hate to see their favourite players leave the game or get traded away. Politics is no different. Many politicians are bombarded with pleas from community supporters to stick around for one more term once they whisper intentions of leaving. Iannicca is a familiar face in Mississauga’s Ward 7, which he has represented in some capacity for his entire career, and he says many people came forward urging him to run for the new job — enough to make him consider it. 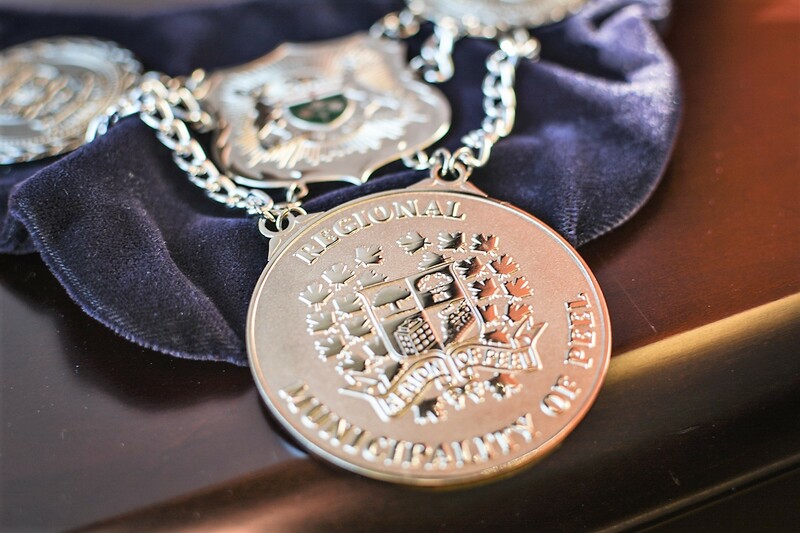 The mayors of Peel’s three municipalities approached him as well, pushing him to put his name forward. He remained on the fence. It was his wife who changed his mind. “You’d be perfect,” she told him. Now, Iannicca smiles and leans back in a soft leather chair, one of many in his sunlit office. Documents line the edges of the long boardroom table, the three newspapers Iannicca reads each morning on the far edge. The chain of office glints from a table in the corner. A year ago, Iannicca had no dreamy visions of placing the shimmering royal chain around his neck. Now, it appears he couldn’t be happier to see it resting there each time he enters the council chambers. “Politics is like that. It’s remarkable how you travel roads that you didn’t think you’d be travelling on. I was flattered to death that people would have thought of me,” he tells The Pointer. In more ways than one. As chairman and CEO of the region, Iannicca will be leading an organization with a budget of almost $4 billion and 9,000 employees (including police). Then there are the residents of Peel. In his first comments to council at that gathering in December, Iannicca offered essentially the nuts and bolts of the philosophy that will guide his priorities in the years ahead. “At the end of the day, you need a growth plan and you need a green plan,” he said. 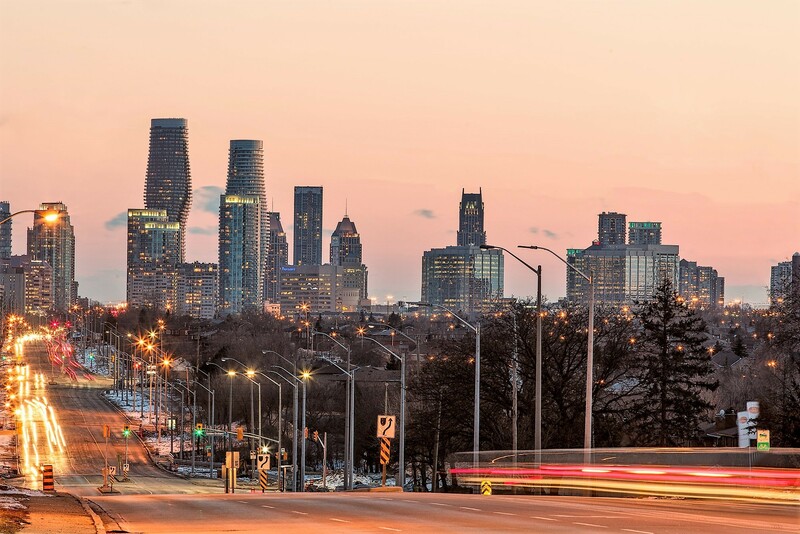 Nowhere is a balance between those elements more needed than in Brampton, where population growth has pushed development into overdrive for more than two decades of poorly planned sprawl. A sustainable plan to manage that growth both economically and environmentally is crucial. “If you are not sustainable you are going to have an unlivable city, and an unsustainable city and region,” Iannicca says. A top bureaucrat with an eye for the planet and sustainable development could not have come at a better time for Brampton. As the world inches closer to catastrophic effects from climate change, significant changes need to start at the municipal level. This past fall, the International Panel on Climate Change (IPCC) released a nightmarish report detailing how many of the most devastating impacts of climate change (think sea-level rise, flooding, food shortages, species loss, and the disappearance of coral reefs and polar ice caps) may come much sooner than was originally warned. Previous studies and projections noted severe effects from climate change would come when the climate had warmed 2C above pre-industrial levels. However, it’s become increasingly clear that many of those impacts will be felt at warming just 1.5C above pre-industrial levels, which the report warns could happen by 2040 if nothing drastic is done. If there aren’t major moves immediately to control greenhouse gas emissions in critical areas of industry, including development and land use policies, the planet may pass the point of no return, leading to the displacement of entire nations and a flood of environmental refugees that will cost the world economy trillions of dollars. 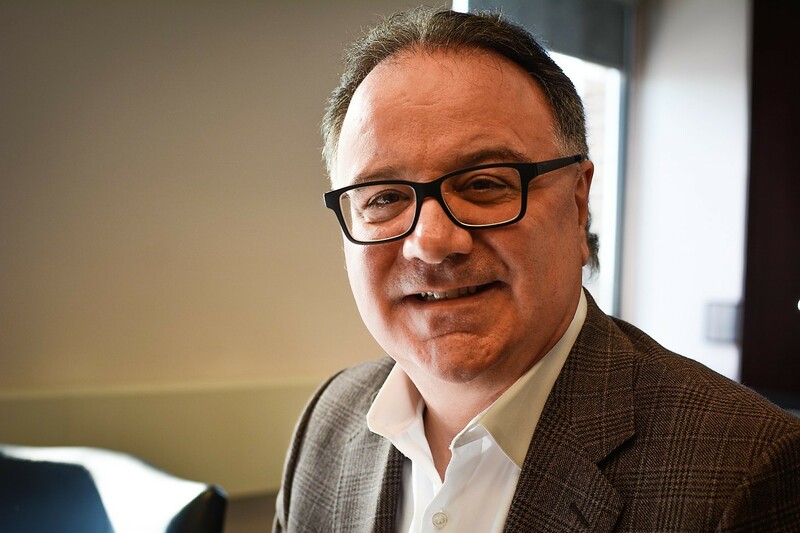 Much of Iannicca’s green mindset can be attributed to his time spent serving on the board of the Credit Valley Conservation Authority, most recently as chair. “You get a different perspective on how important the environment is; in fact, it’s the most important thing,” he says. On a basic level, Iannicca believes that effecting real change and garnering support for environmentally friendly policies requires reconnecting people with the natural world. As populations have shifted toward urban settings, they’ve lost that connection, something Iannicca says will only get worse. “The overwhelming majority of people now and going forward will not have a backyard,” he says. Where can they go? Well, Caledon, for one, as well as the Credit Valley Trail, a passion project for Iannicca. A legacy project of the Credit Valley Conservation Authority, the 100-kilometre trail, once completed, will create a green lifeline through the heart of Peel Region, from the Forks of the Credit in Orangeville to Lake Ontario. “It is the lungs and the water that sustains us,” Iannicca says of the region’s natural areas, noting that it’s not just the people of Peel who benefit, but the region’s economy as well. He has always been a proponent of growth. As a downtown Mississauga councillor he watched and tinkered and pushed while the area, under his leadership, quickly transformed from a questionably planned low-slung cityscape of strip malls and suburban neighbourhoods into one of the GTA’s most impressive urban expanses, with plans for light rail transit to get people out of their cars, a transportation hub, better land use around the sprawling Square One shopping mall and more energy efficient high-rise buildings to accommodate residents who understand that green living in more sustainable city-spaces is the way of the future. Iannicca has displayed a unique ability at the local level of politics to do two things simultaneously: work closely with the development industry to ensure its ongoing investment to help grow his community; while, as a member of the local conservation authority, planning a prosperous future that balances the need for economic opportunity with environmental stewardship.